The President of ArenaNet confirms the feat of crafting to reach the level cap. With any new MMO or expansion, there's always those players who race to earn experience points to be the first on their server or even in the whole region to reach the level cap. I suppose there's a certain amount of pride that can be had playing as efficiently and skillfully as possible. There's also alternative ways to play MMOs, with players choosing to level up without killing any monsters or other restrictions. It's rare when the two phenomenons intersect, but the President of ArenaNet himself confirmed the first player to reach the level cap of 80 in Guild Wars 2 did so through crafting player-made items. The Charr Elementalist Surfeuze hit level 80 this weekend in the early start given to players who'd pre-ordered the game. Surfeuze plays in the French region, and he quickly consumed the 1-60 content normally before switching to craft items to level between 60 and 80. Crafting that many items takes a lot of in-game materials, and Surfeuze could only gather so many so quickly by having a support system of guildmates donating stuff to him. At first, the President of ArenaNet Mike O'Brien cast aspersions on the quick leveling achieved by Surfeuze. "Level 80 is always something to celebrate, but be aware that this was not through normal leveling," he said on Reddit early Monday morning. "A few users have made us aware of unusual ways to level very fast. We're fixing these issues as I type." I'd like to apologize for writing an earlier comment that cast doubt on his accomplishment. At the same time Surfeuze was racing to level 80, we were tracking and talking with other players who were racing toward 80 as well, using a technique that really shouldn't be that lucrative and that we're making changes to fix. We believed one of those players would be first to 80, and when Surfeuze posted of his accomplishment, I mistakenly thought he was a player who had used that technique. In fact he wasn't. Surfeuze played normal PvE content to level 60, although obviously racing past everything he could, and then leveled from 60 to 80 through crafting. His secret weapon was his strong team supplying him with crafting materials. That allowed him to jump ahead of everyone else in those last 20 levels. So congratulations to Surfeuze, legitimately the first player to reach level 80. Surfeuze accomplished the feat in 32 hours, and I have to tip my hat to how he got it done. 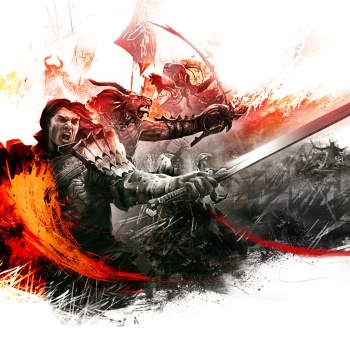 The Guild Wars 2 server open up today to those who didn't pre-order the game. While you might not technically be the first to reach level 80, that doesn't mean you still can't try to race and beat Surfeuze record leveling time. Good luck!